Before a firefighter can enter the training academy, they must pass a multitude of tests to ensure they are fit for the job. One of these tests is the treadmill test. The treadmill starts off at walking speed and without an incline. Then after the first minute the speed increases by 1 mph. The second minute the incline climbs up 1% and the third minute the speed increases once again by 1 mph. This cycle continues back and forth until the firefighter either pushes the stop button, jumps off, or eventually falls off the treadmill. For those of you who have been on a treadmill, you understand the difference between flat and even the smallest incline is monumental. There is this point for everyone where it officially becomes too hard to continue. Your mind and body tell you to push the stop button, to give in, or to simply give up. At the same time something deep down inside is begging you to keep going, to finish strong, and to keep going further than you ever thought possible. It takes one thing and one thing only to get past this point. Grit is defined as: courage and resolve; strength of character. It touches our marriage, our kids, our relationships, our careers, our goals, and even our faith. Money doesn’t care how you feel about it because money is simply a tool within our lives. It’s a tool that can create a lot of joy and a lot of pain. It can change you for the good and for the bad. It can be part of something terrible or part of something amazing. It’s up for you to decide how your money is used and managed. When You Get Knocked Down…. I know someone reading this right now is struggling to pay their bills each month. I know others have mountains of debt and they are wondering how they are ever going to pay it off. Some of you may have tried doing a budget before and it just never seemed to work out. I have read the email from the wife who is about to leave her husband because of the mistrust with money inside the marriage, and I have talked to the couple who feel ashamed they haven’t saved a penny to send their kids to college. I have talked with Sheryl who is teetering on the edge of bankruptcy and sat down with Megan and witnessed the tears and stress from raising three kids as a single mom while working two jobs. You may be reaching that point on the treadmill where if it speeds up one more time or the incline goes up at all, you’re throwing in the towel. You’re right on the edge and you can’t go another second. You’ve hit that point where enough is enough. You’re done. This is the moment when you MUST HAVE Grit. You Want It. Go Get It. Grit is the courage to keep going and the character to follow through with what you really want to do. Do you want to one day be completely debt free? Do you want to have money saved up for your kids college? Do you want to be able to retire, and retire wealthy? Do you want to be able to give? Do you want to be able to do that one thing (only you know what that is)? I love this quote because it helps me find my own grit. Full transparency here, but if you think this whole money thing for Andrea and I is a piece of cake, then I officially have you completely fooled. Yes, we are debt free, we have a large emergency fund, and we have money left over at the end of each and every month. But, we also have to maintain incredible levels of grit for this to continue. There are times where it would be so much easier to stop saving for kids college and fly to Hawaii for the week. Or to get rid of my 14 year old truck with a hole in the seat to buy a brand new one. Or to say “yes” to every opportunity to have fun because remaining disciplined is too hard. Or to even tell God we are going to hold off on the tithe this month because we have an ‘opportunity of a lifetime’. What’s the one thing that keeps Andrea and I on our continued path of success? The only way to manage the finances in your life is to see exactly where the money is going. The point is everyone must be on a monthly budget. If you have been trying this whole money thing without living on a real monthly budget, then let me ask you this – How’s it working out? 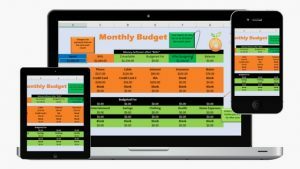 You can always grab the FREE budget from Money Peach right here. It’s not going away, it will always be FREE, and I will even send you a new copy each month for you to start fresh. Just grab it using this button below. There was a brief moment in time when I was whining to a friend of mine about how we never were taught the right way to handle our money. I guess it was my way of giving an excuse to why Andrea and I had gone completely broke. Since 2011, we have looked ahead to the future with a ton of hope followed by a lot of financial security. We have continued to live on a monthly budget, we have remained debt free, and we have saved money like crazy. When were you ever taught how? 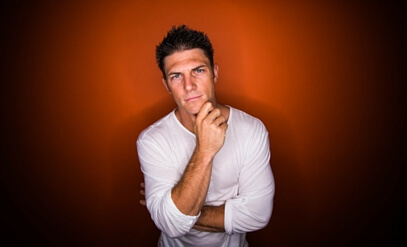 It’s time to stop trying to figure it out alone and let me help you. For the past year, I have been teaching students from all over the world how to finally do a budget, pay off their debt as quickly as possible, and manage money in all areas of their life. I don’t just think I can help you, I know I can help you. What About These Areas of Your Life and Money? Look, I get it….you’ve tried it before and it didn’t work. Your budget fell apart, your debt came back, and you didn’t continue with the original plan. Now I need you to shake it off, get back up, and keep going. 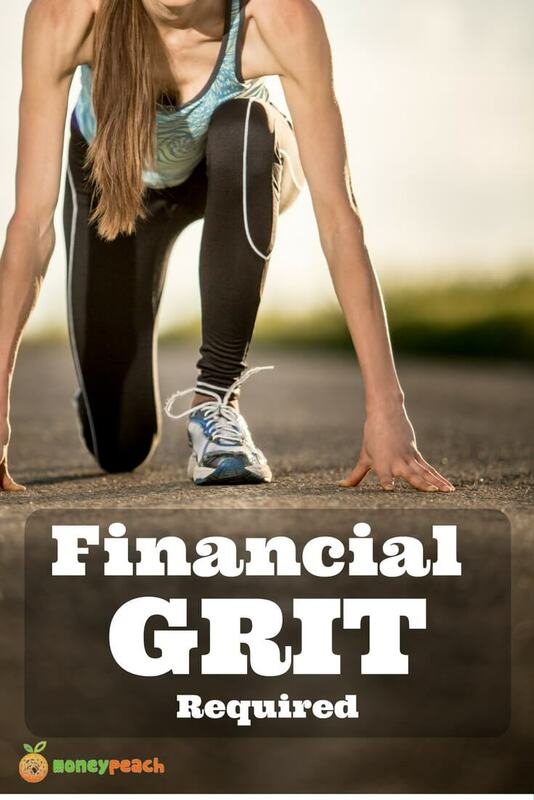 I need you to find and hold onto your financial grit. 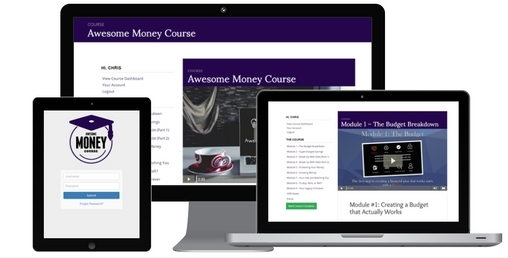 Awesome Money Course is our 9 week online program teaching people all over the world how to finally manage their money the right way. Personal finance is personal and rarely if ever were you taught how to manage your money with confidence. 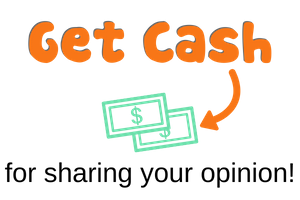 If you find yourself struggling to create a monthly budget, your unable to save money at the end of the month, and you need a plan to pay off your debt as quickly as possible, then Awesome Money Course will be a great fit for you. When were you ever taught how to manage money? This is the class they forgot to teach you in school. What would life feel like without debt? What would it be like if you had $10,000 set aside for emergencies and a plan for your future? What would life look like in 10 years from now? What about the lives of your children? As always, thanks for being a part of and making Money Peach YOUR go-to place to learn about YOUR money. Yes.. I’ve been on treadmil and it feels different when we set to increase the inline. I like the way you relate the finance and treadmil. Yup, I’m totally agree as I’m now just start even I’m maybe a bit old. My step is to retire 45 and getting much more income ..
Hopefully we can achieve our target. I don’t know about you, but when I hear that someone has grit, I picture a tough, rough war hero pressing forward despite unspeakable odds. I picture a weathered sailor in the perfect storm riding the crest of a 100-foot wave destined for glory. I picture someone who doesn’t stop even in the face of danger or failure. I picture you being an artist 🙂 Great descriptions! This is a great lesson! 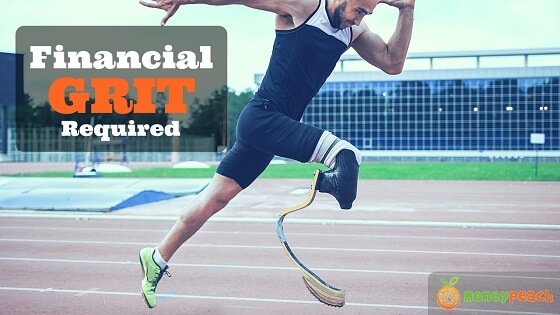 When we all face dozens of financial decisions/day, we need the grit to get through without multiple mistakes. I think it’s easier to make good decisions on the daily financial decisions when the big decisions are on autopilot. I love auto-payments and auto-transfers to savings and investment accounts. The money just gets where it should be without me thinking about it, so I can save up my grit for the daily decisions. That’s a good point! There is something to be said to making it easier and having less decisions that you have to use your grit for.